Ocean Isle Beach is a small beach town near the southern-most corner of North Carolina. It is near Sunset Beach and Myrtle Beach. The year-round population is under 500, which swells in the season. The resort town offers one of America's finest beaches, plus the intra-coastal, plus an array of golf courses. People who live here will find a relaxing lifestyle near the beach. Myrtle Beach and Wilmington offer nearby diversions. Photo of fishing pier courtesy of Wikipedia and Pubdog. There are a number of active adult communities in the area, including nearby Sunset Beach (see link at left). According to Zillow, the median home value was $336,800 in early 2019 . 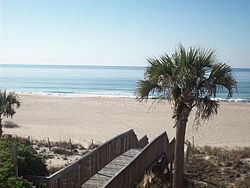 Ocean Isle Beach is known as the "Gem of the Brunswick Islands". The beach offers a fishing pier, public boat launch facility, direct access to the Intracoastal Waterway, and beach paths. There is a new $3 million dollar park. The NC Oyster Festival. Although not too much happens except the beach and golf in Ocean Isle Beach, it is just a short drive to either Wilmington or Myrtle Beach for more excitement. The town is dead in the winter and crowded in the summer. There is no real downtown. Ocean Isle Beach has a fairly mild climate winter and summer that is tempered by the presence of the ocean. The average July high temp is 90 and the January average low is 33. August is the wettest month (7.4"). As a tourist spot on the beach there are a number of seafood restaurants. Cultural attractions include the Ingram Planetarium and the The Museum of Coastal Carolina. Ocean Isle has a high crime rate, with most of the crime being theft, and no violent crime. Nearby towns have hospitals to serve Ocean Isle Beach. 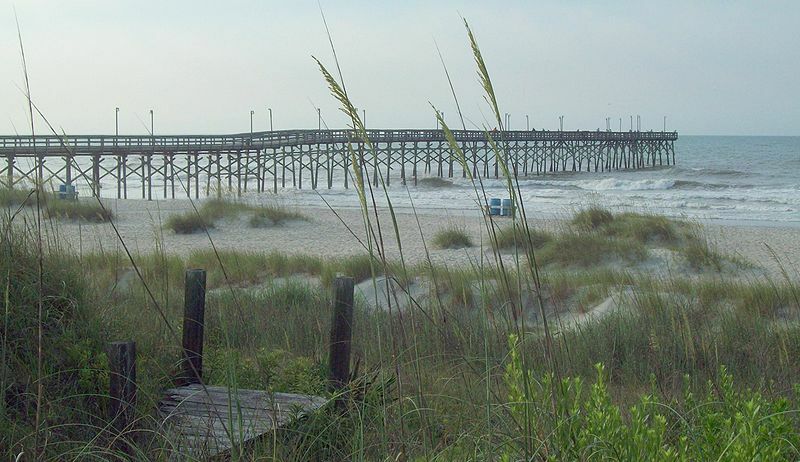 Myrtle Beach and Wilmington offer nearby airports.